This spring, I’m taking a class in long-form critical essay, for which our primary project is (imagine this) a long-form critical essay. 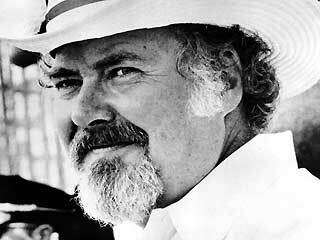 I settled on my topic some time ago: a piece on Robert Altman’s America, exploring the notion that Altman was perhaps our most democratic filmmaker (maybe even our most patriotic), because so much of his work addressed—directly or not—the friction between who we are as a country and who we like to think of ourselves as being. The trouble with a piece like this is that Altman was one busy dude; he directed something like 50 films, and there’s about 20 of them that I’ve never seen. Hence, before school starts back up, I am undertaking The Altman Project ™, an attempt to bring myself up to speed on his filmography, in (roughly) chronological order. I’m skipping the ones I’ve seen, though I’ll probably be revisiting some of the more applicable ones (Nashville, McCabe, Thieves Like Us) during the semester. For now, in documenting The Altman Project ™, I shall merely attempt to record a few impressions, make note of Altman regulars who appear in the cast, and pinpoint anything that I might want to remember with regards to Altman and America. Today, by virtue of the falling of these early holes in my viewership, I ended up seeing what amounted to a Robert Altman Crazy Lady Triple Feature. ALTMAN’S AMERICA: First thing after the credits is a title card, setting the film in Vancouver, B.C. D’oh! Images (1972): So this was the film he made between McCabe and The Long Goodbye, two of his greatest films, though it’s more of an experimental curiosity, Altman making his trippy student film a few years too late. This tale of shifting identities and unstable realities—I sincerely wonder if David Lynch saw it during his formative years, as there’s more than a little of it in Lost Highway and Mulholland Dr.—is one of his few solo writing credits (3 Women, below, is another). 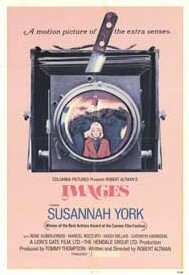 Some of the symbolism clangs (he literally has two of the characters putting a puzzle together) and the pace is problematic, but Susannah York is terrific, and the scene of her talking to herself through the car window—effectively turning that glass into a mirror—is brilliant. REGULARS: Rene Auberjonois makes his fourth consecutive (and, as far as I can tell, final) appearance in an Altman cast. ALTMAN’S AMERICA: Images is set in London and was shot in Ireland. Double d’oh! 3 Women (1977): Altman returns to the dreamlike tone and psychological inquisitiveness of Images five years later, with greater success. 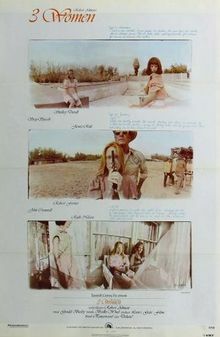 This one stars Sissy Spacek and Shelly Duvall, two of our stranger actresses, in a project seemingly designed to spotlight their kookiness—Spacek odd and childlike, Duvall a prattling, clueless chatterbox. Deliberately (sometimes painfully self-consciously) artsy, it’s a real odd duck of a movie, but it certainly holds your interest; it would seem to be loaded with disaster potential, but it follows its own strange, delicate instincts admirably. 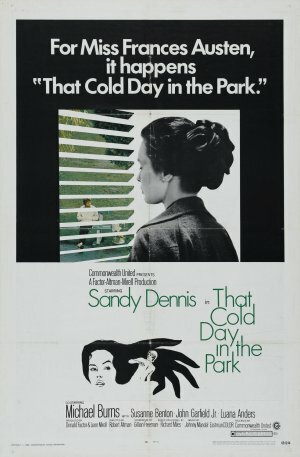 It falls apart a bit in the closing scenes, though—Duvall’s not quite enough of an actress to pull out her penultimate scene, and the ending is a real head-scratcher. REGULARS: Duvall, of course. Robert Fortier played roles in five other Altman films from McCabe to O.C. and Stiggs. Ruth Nelson, who plays Spacek’s mother, returned in A Wedding, as did John Cromwell; Nelson also appeared in the Altman-produced The Late Show. ALTMAN’S AMERICA: This one’s more about the mindscape then the landscape, though there’s something very 70s America about the motel-style singles apartment building where Spacek and Duvall live.